Is the dream of every Brazilian, but are few who can cost their stay. The group of isles of volcanic origin is located at 350kms from the continent and its compound by 21 little islands. Only the big island has more than 3000 inhabitants. When landing you can immediately see 2 hills with a strange shape and at the maximum height the “El Morro del Pico” with 320 meters high. There’s always a tropical heat and the rainy seasons matches the european summer. During the season with no rain, trees begin to drop their leaves. 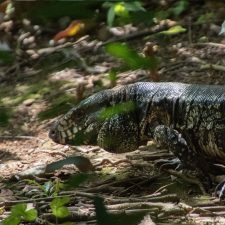 Far from the heavenly beaches, the island offers, above all, an amazing opportunity to watch animals in their natural habitats. 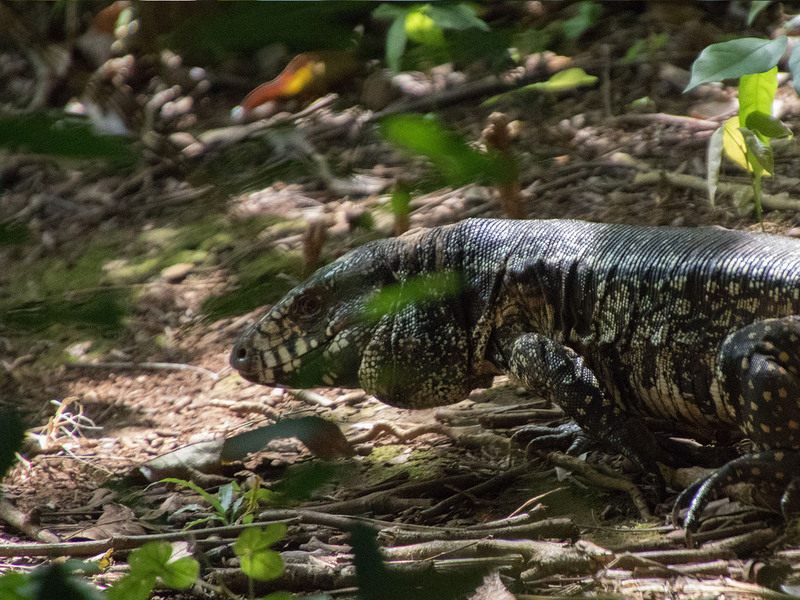 We swim with turtles, little sharks come close to the shore, dolphins swim around the boats and mocós (kerodon rupestris) jump from rock to rock. 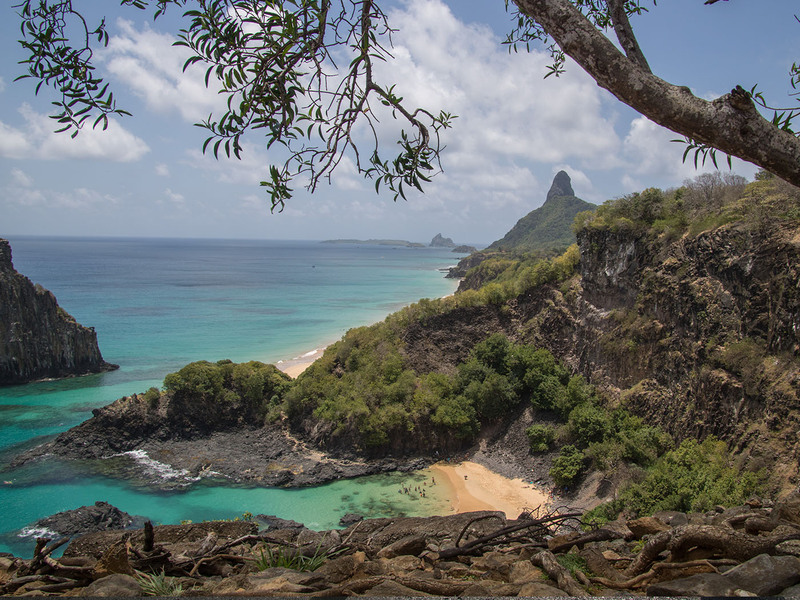 This is the reason why UNESCO named Fernando de Noronha a world nature reserve. 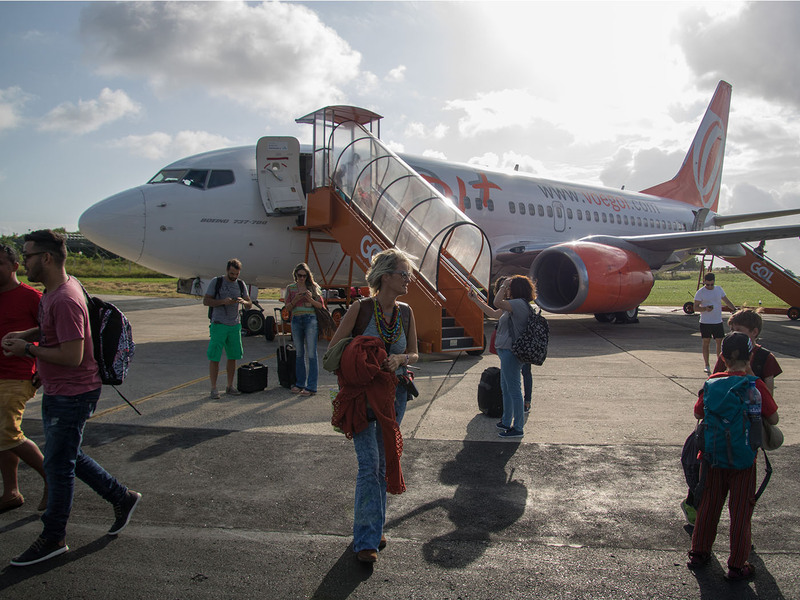 There are diverse airlines and flights in the day (GOL and Azul) that goes off from Natal and Recife to the isle. The flight is just one hour length, but there is one hour difference between the continent and the island. 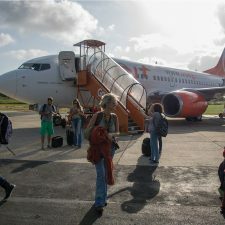 When arriving, is necessary to pay a carbon tax (20 USD per person) and plan the day. For this, there are two queues: one for tourists who had already paid through the internet, and the other for people who are paying on the spot. You can pay with credit card. The form is given in the plane, before the arrival. When having the permission, it must be kept very well, for is mandatory to show it when leaving. At the café beside the check in table, they sell a guide for 30 reales, which also has a map. The transfer from the airport to the hotel is organized by each lodge, separately. We stayed at the main city Vila dos Remedios. There are many travel agencies that offer excursions. For 25 reales a day you can also rent a beach Buggy and go all over the isle by your own. It is very important to check everything before going out! The tires were a mess and the gearshift was very hard to move. Plus the renting, sum 10 litres of gas a day, at 2 USD per litre. The gas station is in the port “Porto”. 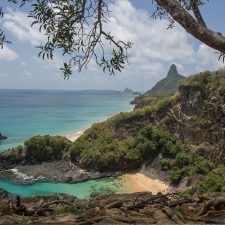 Three of the five most beautiful beaches in Brazil are in the island, and to visit them is necessary to additionally pay the entrance to the National Park, which is controlled at the entrance of every beach. This funny thing costs 60 USD per person (aprox. ), and the pass is sold in the kiosque of Praca Flamboyant between 14:40 and 22:00 hours. 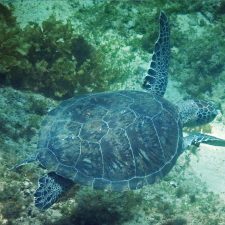 The one that’s really worth the visit because of their information about marine turtles is located beside Bodro street. 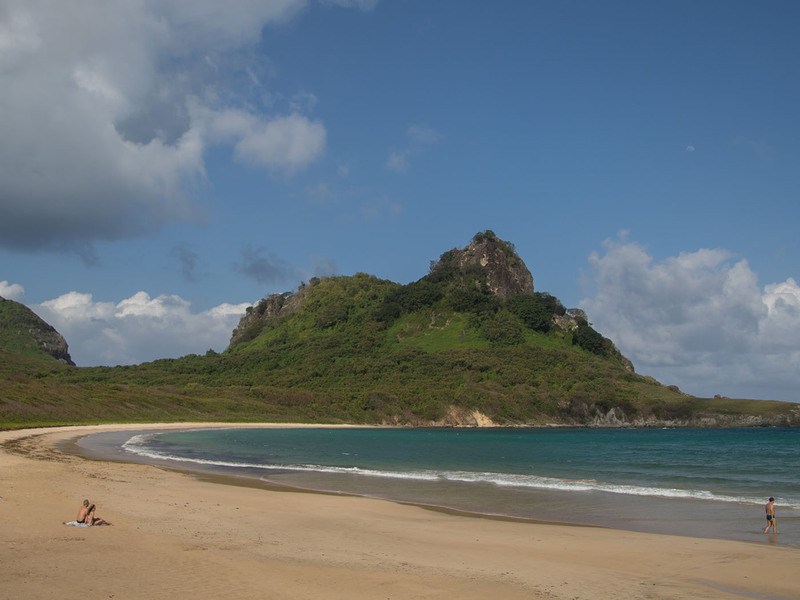 Now, were directing to one of the most beautiful beaches of Brazil: Praia Sancho. Here they control again that you have paid the 60 USD. Also you can find toilet and kiosque. 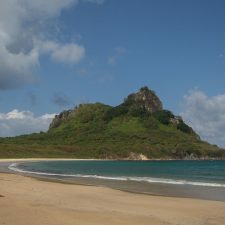 A path takes you to the viewpoint tha faces two isles “Dos Irmaos” and “Playa Baia Porcos”. Then you go downstairs and get to Playa Sancho. Overweight people can have problems here, for the first stairs pass through a very narrow rock tunnel. The equipment of the day is dropped with a cord. A park ranger waits for us and explains all the things that are is forbidden to do. There’s little shade and under the only tree, it’s all white with bird’s mess. 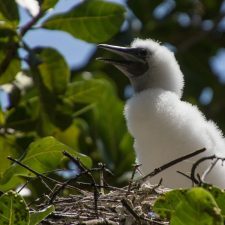 Is fantastic to know, though, there are plenty of nests of red-footed boobies. 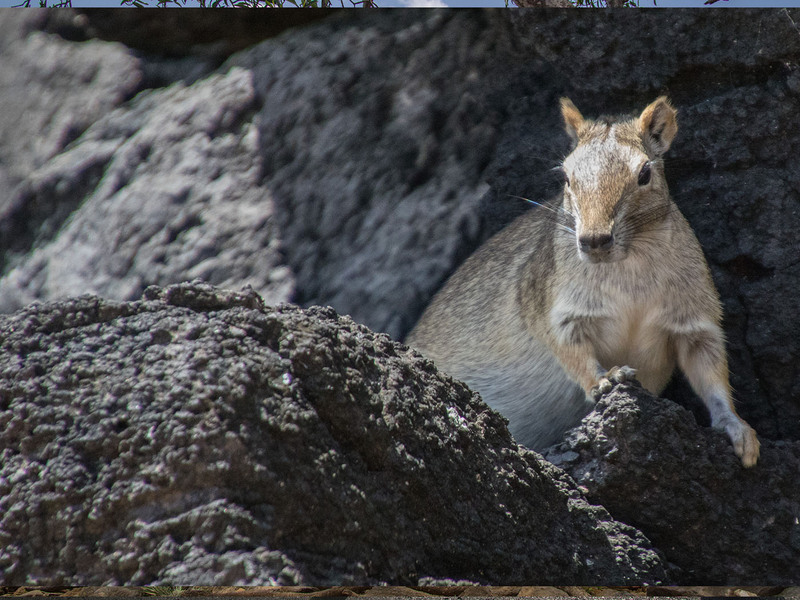 The Mocós jump on the rocks and look like small capybaras. To put your head into the greenish warm and crystalline water is a dream. It’s really fantastic. You can discover colourful fish, manta rays, eels and marine turtles. There is no kiosque nor bathrooms here, and to go back you use the same path. That the way up doesn’t stop you from visiting the beach. 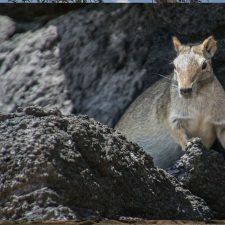 You can pay 135 USD for 3 hours of diving at the coast and a snorkel is included. We continued to Praia do Sureste, which is not a beautiful as Playa Sancho, because the view under the water is not good and has tides. The cool thing here, though, are the marine turtles and the baby sharks near Expreso Café Kiosque. To watch the lemon sharks is not necessary to get into the water, for you can easily see them from the shore. 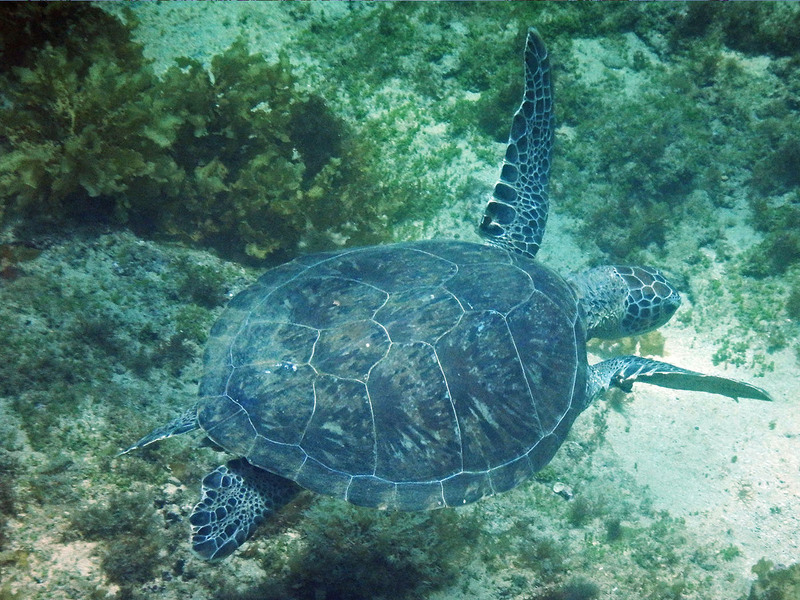 The turtles can be observed snorkelling to the right side of the rocks. The equipment cam be rented in the place. Those who want to make sure plan with a guide. 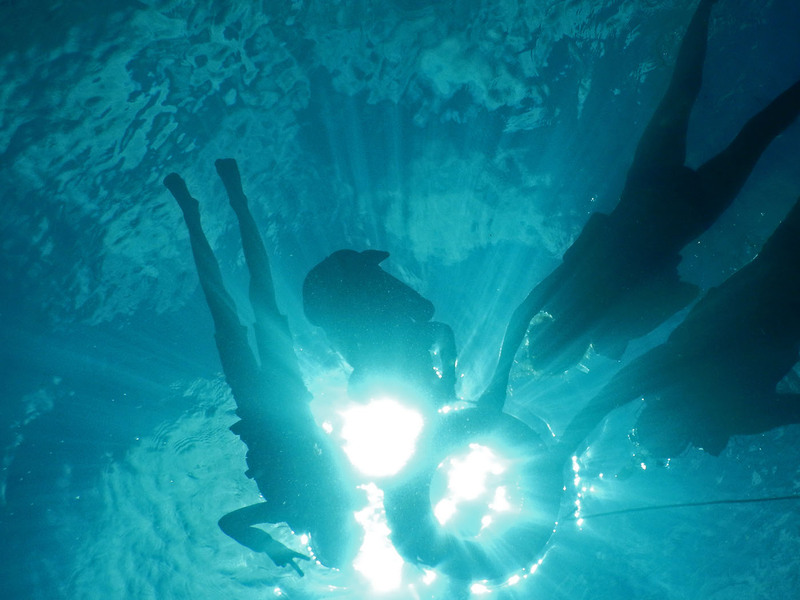 You enter the warm water as a group with a water suit and floats. A kilometer further along the road you go towards Praia Leao. Here the waves are high and the view from the parking is already fantastic. A path leads directly to the water. Dinner is recommended in the church square in front of the beach. It doesn’t sound adventurous at all to practise snorkelling at the port, but it is really the best place to venture under water. Not for nothing diving stations exist here from which you can go from the beach directly to the water. Turtles agglomerate directly in the sand. True Karet turtles (Eretmochelys imbricata) and green sea turtles (Chelonia mydas). It is possible to observe chestfish, sharks, parrotfish, trumpetfish and manta rays. Just 50 meters from the beach there is a sunken ship and is excellent for snorkeling surrounded by many fish. It is easy to find, since it is marked with a black buoy. 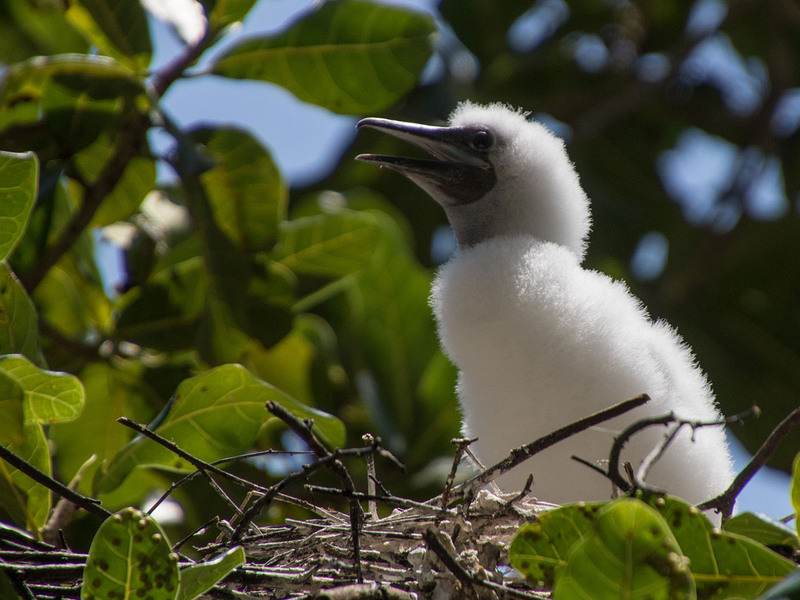 For about 50 Reales you can hire a guide, which is worth to see more wildlife. Additionally, it is possible to rent snorkel equipment and a water suit. In a taxi for 20 Reales you get downtown. On foot it takes about 15 minutes. From here you go to the Primeirissima Agency by bus. The navigation is along the entire north coast. At Sancho beach, you can spend about an hour practicing Snorkel, the tour costs around 150 Reales and lasts from 09:00 to 12:00. It is a bit more boring. 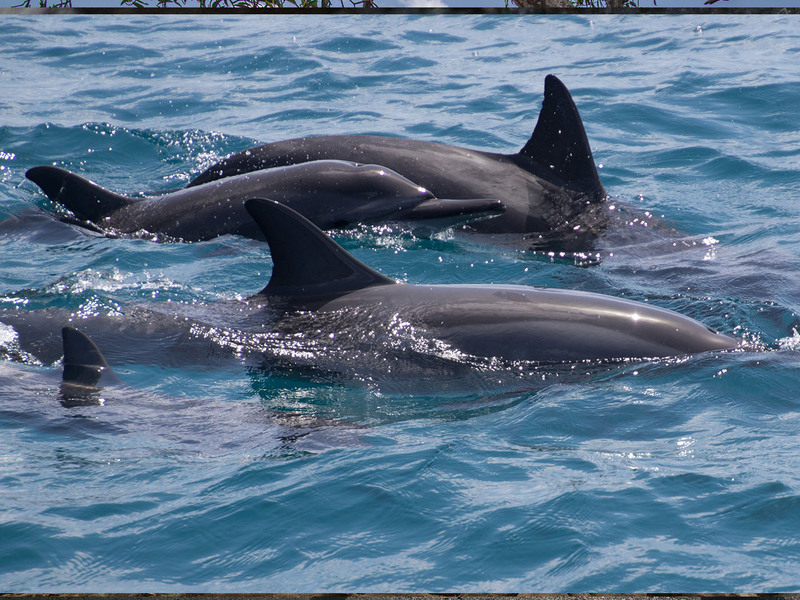 On the return trip about 500 m from Porto we saw dolphins. We had time to observe them for about two minutes. For that, small boats are better, for example “the Femelly”. A round for 4 people is worth about 200 Reales and lasts almost an hour. 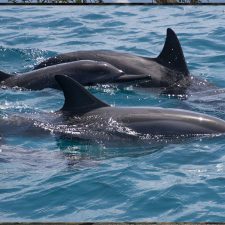 Boats with motor are officially prohibited to do a special tour to see dolphins. Only the largest vessels are allowed to pass through. Snorkelling here is punishable by fines. A good and legal alternative is canoeing. A nice agency is www.noronhacanoeclube.com.br Much better if you book the day before and leave from 06:00 in the morning. The reservation can be arranged from the hotel. Dinner Bar do Meio. The place is exceptional at the time of sunset. There is dinner only until 7:00 p.m. The restaurant is spectacular and the place fantastic.